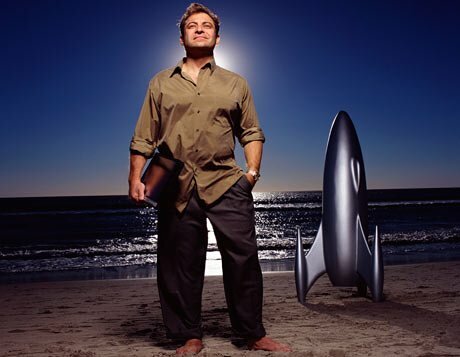 You may recognize him as the brains behind the XPRIZE Foundation, an innovative engine of visionaries and futurists formed as a result of Diamandis’ belief that highly incentivized competition empowers solutions that surpass the boundaries of human potential. Solutions that were once deemed impossible. The XPRIZE Foundation has launched competitions that have led to breakthroughs in space travel, robotic missions, carbon mitigation, artificial intelligence…the list endures. Among other accomplishments, Diamandis is also the Co-Founder of the Singularity University: an actual university located on NASA’s campus, founded as a benefit corporation with the intent of existing as an educator, a creator of partnerships, and an incubator to help individuals and institutions around the world understand and accelerate the necessary technological solutions to solve the world’s biggest problems and positively impact humanity. The Singularity University is really not much like a regular university…Its courses aren’t accredited, and it has no undergraduates. Stanford University might have been the cradle for a hundred Silicon Valley startups and the hothouse for some of its greatest technical innovations, but the Singularity University is an institution that has been made in the valley’s own image: highly networked, fueled by a cocktail of philanthro-capitalism and endowed with an almost mystical sense of its own destiny – theguardian. Diamandis’ Co-Founder is none other than Ray Kurzweil, computer scientist, inventor, and futurist, touted by Wall Street Journal as “the restless genius”. Singularity University, otherwise known as SU, came to fruition in 2010, funded in large part by Google, Microsoft, and NASA. The University was created with the hopes of bringing together the best and the brightest from the fields of bio- and nano-technology, neuroscience, and artificial intelligence. 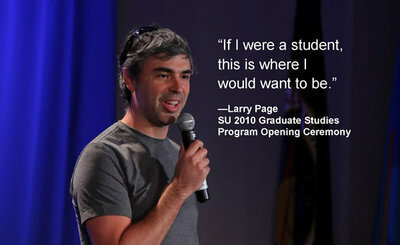 Day 1 opening remarks were delivered by Larry Page of Google. SU has identified twelve global challenges and associated areas on which to focus exponential technologies: learning, water, space, health, prosperity. environment, food, energy, security, disaster resilience, governance, shelter. 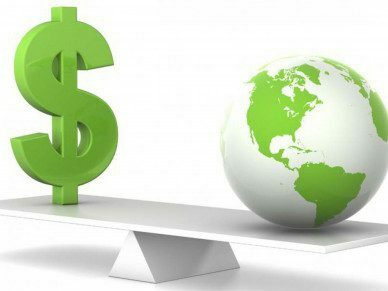 1.2 BILLION PEOPLE live in EXTREME POVERTY (World Bank). 842 MILLION are STARVING (United National Food and Agricultural Organization). 2.5 BILLION do not have access to WATER (United Nations Water). 1 BILLION people do not have ACCESS TO HEALTHCARE (United Nations International Children’s Emergency Fund). 7 MILLION are killed from AIR POLLUTION annually (World Health Organization). 1 OF EVERY 4 PEOPLE live in unsafe/unhealthy living conditions or lack access to SHELTER (UN Habitat). 1.5 BILLION CHILDREN (under 18 yrs. of age) are subject to some form of VIOLENCE (UN International Children’s Emergency Fund). 1.4 BILLION do not have access to ELECTRICITY (United Nations Development Program (UNDP). 774 MILLION people are ILLITERATE (United Nations Educational Scientific and Cultural Organization (UNESCO)). The COST OF CORRUPTION equals MORE THAN 5% GDP with over $1 TRILLION of BRIBES transacted each year (World Bank). 218 MILLION people (on average, per year) have been affected by NATURAL DISASTERS from 1994 – 2013 (UN International Strategy for Disaster Reduction). 1400 ASTEROIDS are considered hazardous to Earth (National Aeronautics and Space Administration (Nasa)). These challenges are not isolated. In fact, the GGCs are tremendously interdependent, leading to a plethora of positive and negative feedback loops. Providing clean, safe, accessible water helps optimize society’s health. Water challenges are responsible for 20% of the deaths of children (under age 14) in low-income countries (Source: SU). Unfortunately, negative feedback loops are also prevalent. For example, solutions to the food gap must be done in an environmentally sustainable manner, otherwise one gap will be tightened just to heighten a different challenge. Each GGC is approached with three succinct objectives in mind: 1.) enable basic needs to be met for all people. 2.) sustain and improve the quality of life, and 3.) mitigate future risks. SO WHAT IS SU ACTUALLY DOING? Education: The Global Solutions Program is a 10-week team-based program for future leaders and entrepreneurs to collaborate on solutions to GGCs. SU also offers executive programs, conferences, and customized programs to fit individual needs. Global Impact: Local innovation is spurred through SU’s global impact competitions; winners receive sponsorships to attend the Global Solutions Program. Inspire & Inform: SU is sharing singularity-related insight and achievements in as many places as possible, e.g. through daily news coverage on the SU Hub and its Exponential Conference Series. Innovation Partnership Program: a custom program for Fortune 500 companies. SU Labs: an incubator for corporate partners, entrepreneurs and startups, and other organizations to collaborate in their creation of exponential solutions. Technology is literally changing our lives. The old way of thinking involved limitations and boundaries. Technological change was present, but only within certain parameters and possibilities. The new way of thinking knows no boundaries. Accelerated in large part by endeavors such as the Singularity University, the advent of “new technology” embraces a different mantra: if you can dream it, you can do it. While the majority of society wakes up, goes to work, hits the gym, makes dinner, goes to bed, and hits repeat 5 times a week, there are pockets of visionaries that are rapidly advancing technological change in artificial intelligence, virtual reality, transportation on Earth and in space, 3D printing, robotic missions, you name it. The rate of technological change is evolving so fast that it is outpacing the rate of human awareness. Stay aware. Get involved. Help shape the future. While each program is succeeding on its own, we are beginning to see uncommon collaborations across the network and industries. Examples include Lowe’s collaboration with Made in Space to put a commercial-grade 3D printer on the International Space Station and X2AI’s work with the Field Innovation Exchange to pilot psychotherapy by AI in Lebanon. As we put exponential technologies into the hands of the entrepreneurs and leaders who think exponentially rather than linearly and who understand this historic moment to now solve the global grand challenges – we will see the lives of billions transformed in positive ways. – The Singularity University.